Both Shannon and Denise are from military families and as such, they moved around quite a bit in their younger years. Back in the 1960’s their fathers were stationed in Germany while in the Canadian military. Shannon’s family had a chance to live in a small German village called “Lichtenau” and rented a flat from a German farmer and his family. After a year, Shannon’s father had to move the family closer to work and so they moved out of Lichtenau and into PMQ’s at 4 Wing , Baden Baden. In August 1970, Shannon’s family moved back to Canada. At the exact same time (August 1970) Denise’s family moved from another Canadian Forces base in Germany to 4 Wing . They decided to move into a small town off the military base and that small town just happened to be “Lichtenau”. Although Denise and Shannon never met until years later, they had a uncanny connection of having lived as children in the same small village on the other side of the world from Canada. They eventually did meet in 1983 and although their individual journeys led them in different directions, their paths continued to cross throughout the following two decades. In 2010 they reconnected once again and after a number of months, decided that their love of family, life, adventure and one another ,would be further enriched if they spent the remainder of their lives together. Shannon is from Vancouver Island, specifically the Comox Valley. His teen years were spent swimming in Puntledge River as well as the many beaches in the area. 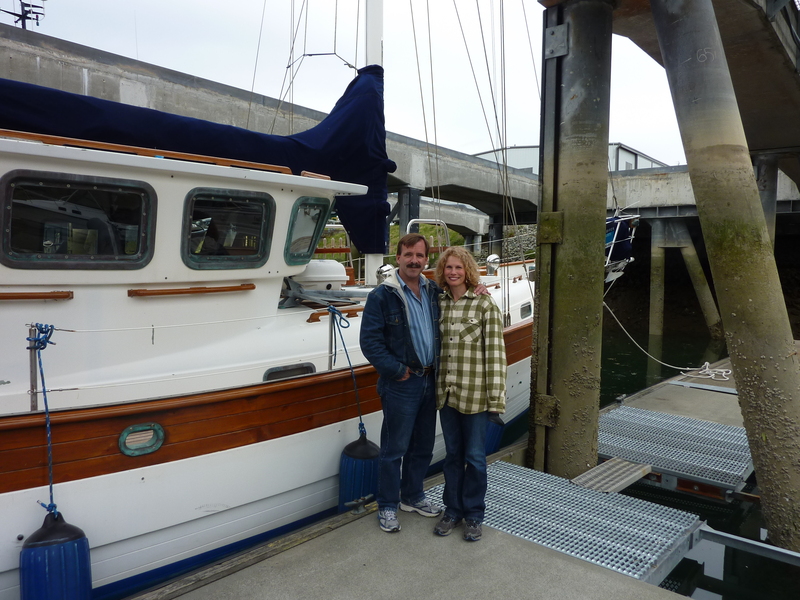 He sailed FJ’s, Lasers, Hobie 16’s and was crew aboard a Catalina 35. In the late 70’s he worked on oil rigs in Alberta while going to university. He joined the Canadian military in 1986 and was employed on SAR Squadrons (413, Summerside PEI, 442 Comox BC) as a SAR helicopter pilot. After 10 years in the military, Shannon flew commercially throughout the world. He now works as a consultant for offshore helicopter aviation projects. Your post, The Crew Soul Balladeer, is really well written and insightful. Glad I found your website, warm regards from Susanne! Well done on your new vessel and web page. You know how to find me…1-800-RESCUE. Keep safe out there. Say hello to everyone on Sqn for me. Thanks for the stopping by. I’ll check out your boat on PBB.